Welcome to the penultimate edition of this weekly article! This is the last week of the fantasy regular season for most leagues that makes this week more important than ever. You may have already locked up the #1 seed like me in a league (weird flex Jair, but okay) or you might be fighting for dear life for that last playoff spot. Whatever the case, this is where seasons hang in the balance. Let’s go. Let’s go ahead and fade this one. This game did not mean that Thomas’ value has gotten any lower. If anything, it just shows us the greatness of Drew Brees to be able to throw 4 touchdowns to Sammy Saints Fan that they got from the backstreets of New Orleans. Drew Brees solidified his case to be the MVP on thanksgiving night. 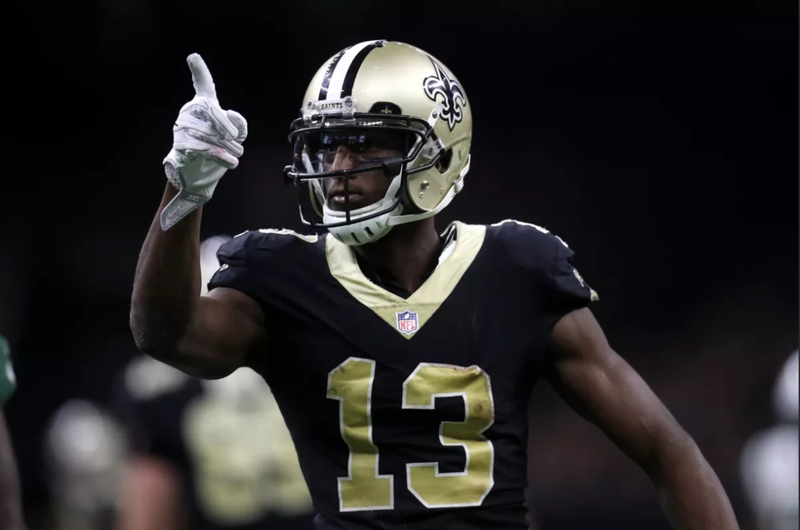 Michael Thomas is still the go to guy in New Orleans, this was just a showing of excellence from an all timer. Thomas is a set it and forget it WR1 the rest of the way. This trade seems like a flop. A deal that was initially heralded as a great value move by the Eagles has proven to be ineffective as Tate is a ghost in this offense. They just don’t appear to know how to use him efficiently and they have their own issues on that side of the ball. It’s too risky to start Tate given the magnitude of this weekend’s games so his value is done for this season. You absolutely cannot play him. The return of Sony Michel and Rex Burkhead seemingly has eaten into White’s fantasy value. With Michel receiving the lion’s share of carries, White is a big play dependent flex at this point of the season. If you have no better options, it is possible he could return some upside but it’s risky. I don’t think he’s trustworthy unless you’re in a deep league or desperate for a flex. This is who he is at this point. Thanks for reading! I’ll be back once again next week with the week 13 final edition! Until then, be smart, don’t panic, and hit that waiver wire!